In 1988, 25 years after the presentation of the original 901, Porsche introduced a limited series of Commemorative models based on the Carrera 3.2. To celebrate the 250,000th 911 produced, Porsche made 875 of the Commemorative models (of which 300 came to the United States), which received Metallic Diamond Blue paint. The interior of the Commemorative model is more luxurious than the stock Carrera 3.2 interior. The cars received full leather on seats and door panels in dark metallic blue along with draped leather rear seats. Commemorative models are further distinguished by embroidered “F. Porsche” signatures on the seat headrests along with a shorter shift lever and no model "Carrera" designation on the rear deck lid. A rear spoiler and 16" Fuchs wheels round out the options list. 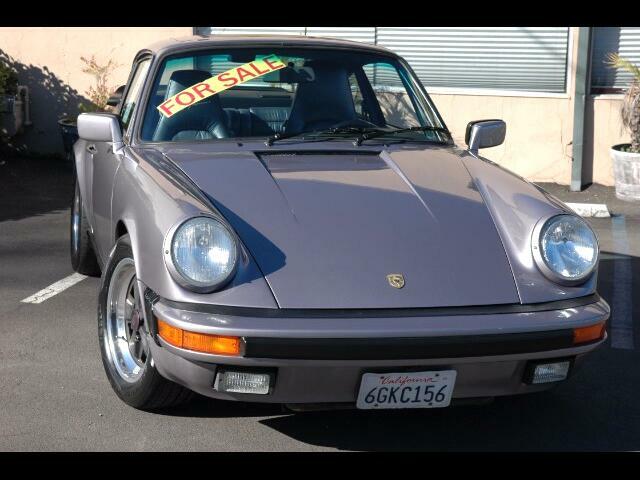 This particular commemorative edition 911 is a Bay Area California car and has been garage kept and very well maintained along with service records going back to 1994. It has been fitted with a set of turbo tie rods for better handling along with a set of Bilstein shocks. A set of 944 turbo calipers are also fitted to the front end for better stopping power. Pre-purchase inspection report available upon request.